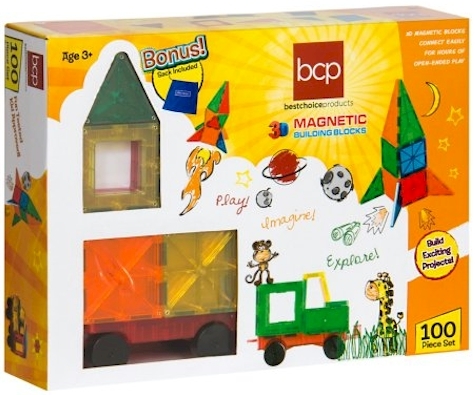 Walmart has got this 100-piece Best Choice Products Magnetic Tile set for $54.94 with free shipping. It got 4.9 out of 5 stars over 28 customer reviews. 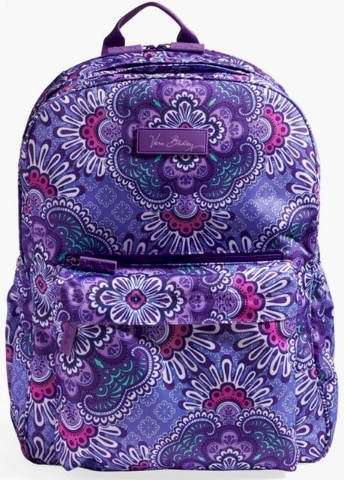 Get 50% off all sale styles at VeraBradley.com, with FREE shipping on all orders (no minimum). Prices as marked; no promo code needed. Score this Grande Laptop backpack for $98.00 $49.00 shipped! 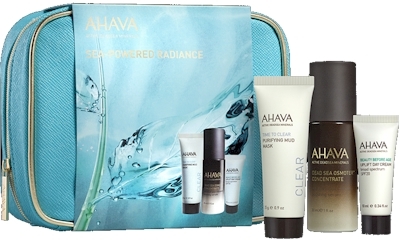 Take a whopping 40% off sitewide at Ahava.com when you enter promo code SEPTEMBER10 at checkout. Also get 3 free samples at checkout! 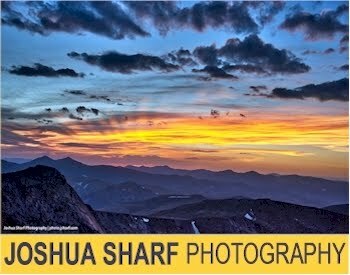 Free shipping on orders of $75 or more, or free Shoprunner 2-day shipping and free returns on orders of $25.00 or more (if you've got an American Express card, you can get a free Shoprunner membership here). 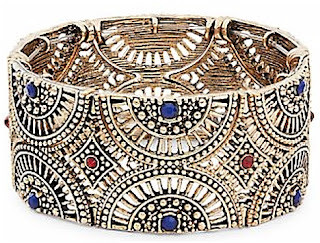 Lord & Taylor has got this Design Lab Cutout Crystal Accented Bangle Bracelet priced at $28.00 $13.98 but enter promo code LABORDAY at checkout and that price drops to $11.18. 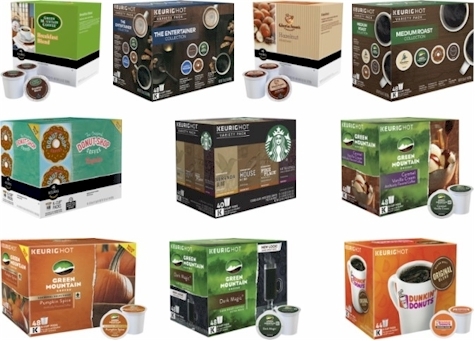 Today, 8/31/17 only, around a dozen different Keurig 48-count and 44-count k-Cup packs are now priced at $19.99 at Best Buy. If you purchase 2 or more packs, shipping is free (otherwise it is $5.99 or some locations have free in-store pickup). This comes to as low as 42 cents per k-cup, well below my stock-up price of 50 cents. These include great brand names like Starbucks, Gloria Jean, Green Mountain, and my personal favorite, Dunkin Donuts. These $19.99 markdowns are for today only. With Amazon's purchase of Whole Foods, big, big changes are coming to the supermarket chain, known for their organic and natural food choices and for their notoriously high prices. Further good news: Amazon is now featuring single items from Whole Foods signature 365 Everyday Value line on Prime Pantry (which is available only to Amazon Prime members) for pretty low prices, starting at 59 cents. 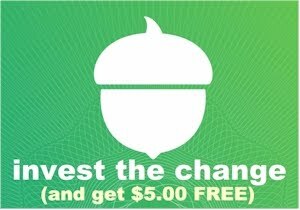 This is an awesome way to save money on signature Whole Foods items and have them delivered straight to your door. 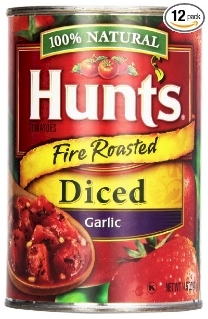 More Prime Pantry deals are available here. I'm watching this Amazon/Whole Foods merger very closely and I'll bring you the news on more of the ensuing savings and discounts as they unfold. I usually get my soy sauce from Costco for about $7.00 to $8.00 for a half gallon (64 oz) but this Amazon deal is better than that by about 35%! Amazon has got this 64 oz. 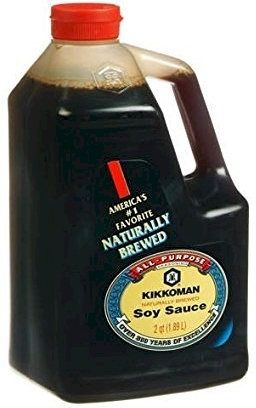 Kikkoman Soy Sauce for only $4.99. Because of the low pricing, your limit on this is 4 per account. 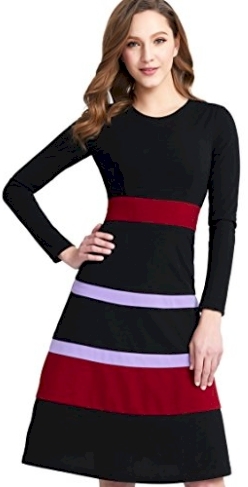 Amazon has got this MIEGOFCE Women's A-line Striped Colorblock Midi Dress for $29.30 with free Prime shipping and free returns on Prime-eligible items. Most reviews were raves (4.2 out of 5 stars over 6 customer reviews); make sure you buy one size up from your regular size. 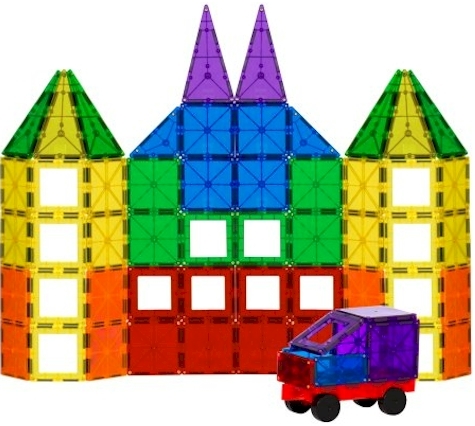 Take 30% off these select toys at Jet.com when you enter promo code PEOPLEKIDS at checkout. 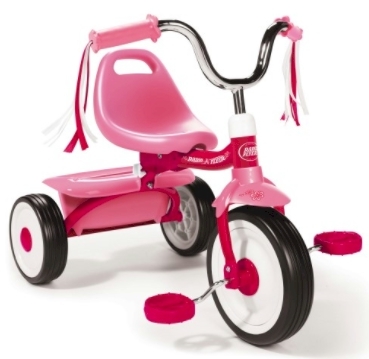 I found this Radio Flyer Ready-To-Ride Folding Tricycle in pink priced at $39.97, but it drops to $29.97 after the promo code. Free shipping with a $35 (pre-discount) minimum order. 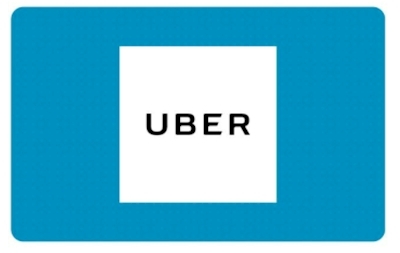 Get a $50 Uber egift card for $45 when you enter promo code EMCRJCK76 at checkout. You may buy up to two of these gift cards at this discount. You will receive this gift card via email after purchase. Walmart has got this set of four black or antique linen Mainstays steel folding chairs for $39.00 with free shipping or in-store pickup. 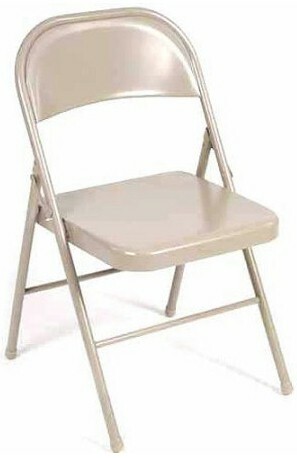 That comes to $9.75 per chair (cheaper than some chair rentals!). These chairs got 4.7 out of 5 stars over 84 customer review. Amazon has got this Table To Go 'I Can't Believe It's Plastic' 50-count Ivory and Silver Lace Design Plate Set for $18.80 with free Prime shipping. I know these plates got two poor customer reviews on Amazon, but I've ordered them in the past and they were (in my opinion) the same quality plates that one could buy in Amazing Savings. 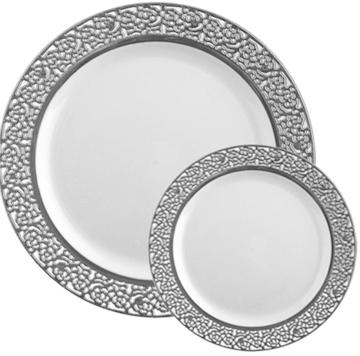 One thing to note: when the plates arrived, they were clearly white and silver, NOT ivory and silver as described. Remember all the terrific Prime Pantry deals I posted yesterday over here? Add this one: Two 50 oz. 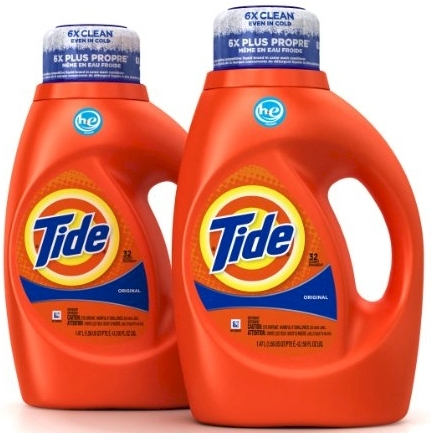 Tide Detergent for $9.99 - $2.00 coupon = $7.99. That's 8 cents per ounce, well under my stock up price. This is a Prime Pantry deal, so it's for Prime members only. Prime Pantry changes its prices monthly and we are very near to the end of August, so don't wait too long on this one. 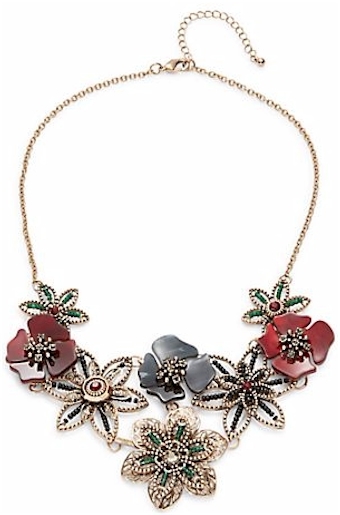 Lord & Taylor has got this Design Lab Floral Statement Necklace on sale for $16.98 (was $34.00) but enter promo code FASHION and that price drops by 15% to $14.43. 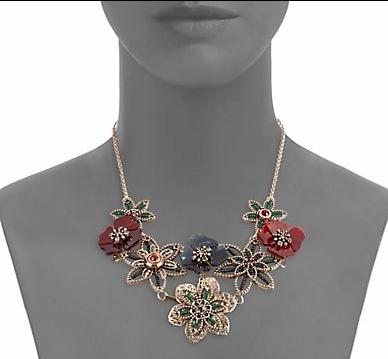 I love the fall colors in this necklace. 16" lobster clasp chain with 3" extender. Attention Amazon Prime members, spend $25 on any items on Amazon that are sold by Amazon, and enter promo code PRIMEVITAMIN at checkout and you'll your choice of one of the five Amazon Element vitamins and supplements listed here. This offer is stackable with the free snack offer here, so you can buy $25 worth of stuff once, enter both promo codes (PRIMESNACK and PRIMEVITAMIN) and get the free snack AND the free vitamins. Make sure to add your choice of free snack and free vitamins to the cart, and the price of those items should drop off after you enter the promo codes. Amazon gift cards are excluded from qualifying for the $25 worth of purchases, but other gift cards don't seem to be. I got this promotion with a $25 Whole Foods gift card. Attention kosher-keeping Daily Cheapskate readers: apparently, according to this, ALL of these vitamins are under Star-K hashgacha! However (there's always a catch), they are only considered kosher if the actual Star-K symbol appears on the product package, so you will be taking a risk by getting one of them. From what I can see in the image pictures, the Amazon Elements Magnesium actually shows a Star-K in its product pictures, so that's probably the safest one to order. One of my favorite secret (really-not-so-secret) sources for stunning, well-priced, modest, maxi skirts is the Lord & Taylor skirt clearance section. If you're shopping for some YomTov knockout styles, here are some of my best finds for today in Eliza J skirts, which is one of my favorite Lord & Taylor brands. These skirts are marked down by a whopping 80%!!! Sadly (for me), these skirts are only available in sizes 4-8. FYI, promo codes do not apply to clearance skirts at L&T. Eliza J Floral Print Pleated Maxi Skirt, sizes 6 and 8 only, $37.60 (was $188.00, 80% price drop). This is the gorgeous skirt pictured at the very top of this post. 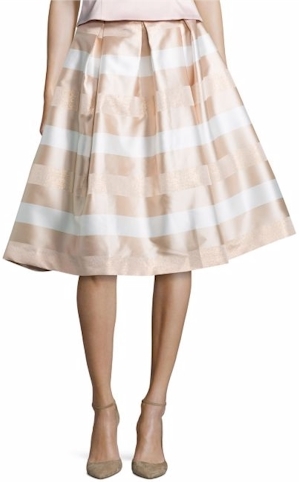 Eliza J Striped Pleated Skirt, sizes 6 and 8 only, $31.80 (was $159.00, 80% price drop). 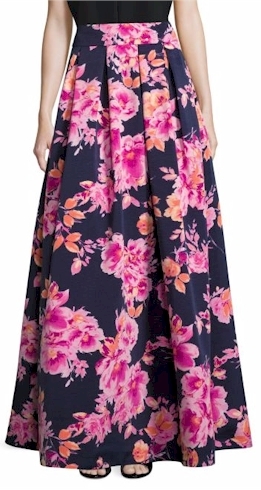 Eliza J Floral Print Pleated Maxi Skirt, size 6 only, $37.60 (was $188.00, 80% price drop). Eliza J Pleated Maxi Skirt in navy, size 4 only, $49.60 (was $248.00, 80% price drop). Lots more beautiful Lord & Taylor clearance skirts to sort through over here. 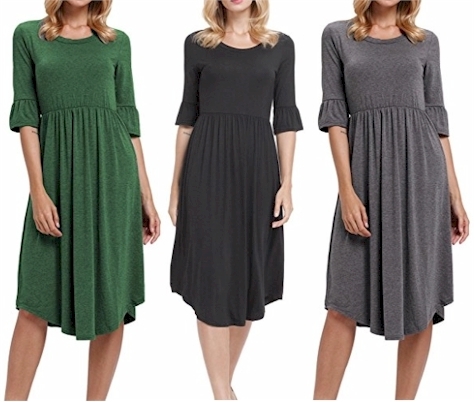 Amazon has got this AlvaQ Women Casual Ruffle Sleeve Swing Midi Dress for $16.99 with free Prime shipping (and free returns on Prime items). 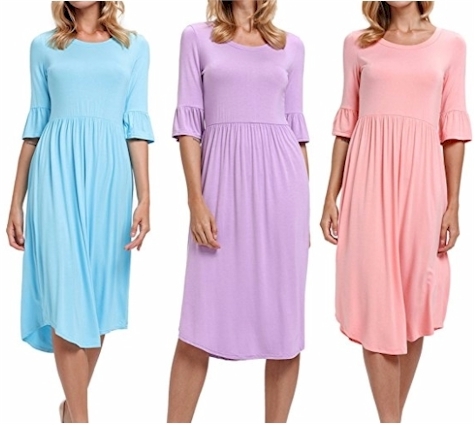 It comes in 6 colors, in sizes S-XL. It got 4.4 out of 5 stars over 15 customer reviews.